Radiesse, also referred to as ‘Radiance,’ is an injectable cosmetic filler intended to fill in deep facial wrinkles or folds. It works by improving the structure of the skin from the inside, through stimulating your body’s production of collagen. Collagen, a key structural element of the skin, provides volume, strength, and flexibility. It is lost as part of the natural aging process and the skin begins to sag into lines and wrinkles. By restoring collagen, Radiesse is able to dramatically improve the appearance of facial lines and wrinkles. You may be a good candidate if you are starting to see signs of aging and want to reverse them using a non-invasive treatment. Most patients are 35 to 60 years old and want to smooth facial lines such as deep wrinkles around their mouth and nose, as well as frown or worry lines on their forehead. This treatment can also be used to reduce the appearance of indented scars and other skin depressions. Like other fillers, its often chosen as a less invasive alternative to facelifts and related forms of plastic surgery. Most adults who are in good overall health are medically able to undergo injections, although there are a few medical conditions and medications that could make this filler an unsuitable treatment option. Radiesse gel contains tiny spheres of calcium hydroxylapatite which is naturally found in the bones and teeth. Once injected under the skin, collagen forms around each sphere increasing the volume of the targeted area. This method improves the skin’s overall strength and structure, while making it smoother and more supple. The treatment usually takes about 30 minutes in the doctor’s office. Your doctor may apply topical anesthetic immediately before the injection to minimize any discomfort. Then, Radiesse is injected through a tiny needle into the targeted area of skin. Several injections may be required depending on the size of the treatment area. After the procedure patients are free to leave the doctor’s office immediately. The ingredients of Radiesse are not easily broken down by the body. As a result, this is one of the longest-lasting injectable fillers currently on the market. On average, results can last between 9-15 months. In addition, some of the results will be permanent because the injected material serves to stimulate your body’s own production of natural collagen. Radiesse is considered a safe, minimally invasive procedure but it is not without potential risks. Redness, swelling, and bruising may occur after injection, although these side effects should subside in three days or left. There is also the risk of nodule formation, in which hard lumps form under the skin. This occurs most frequently in those undergoing lip augmentation with Radiesse. This complication must be treated through surgery or steroids. Often known as a ‘lunch hour’ procedure, patients who undergo Radiesse injections require no downtime and can return to work and other daily activities immediately. For the first few days it is important to avoid extensive movements in the treated facial area which can move the gel out of the targeted areas. 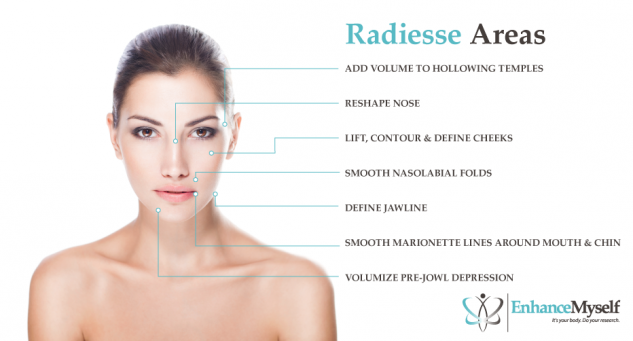 DID YOU HAVE RADIESSE INJECTIONS? The average cost of Radiesse is approximately $600 to $800 per syringe with either one or two syringes required per treatment session. 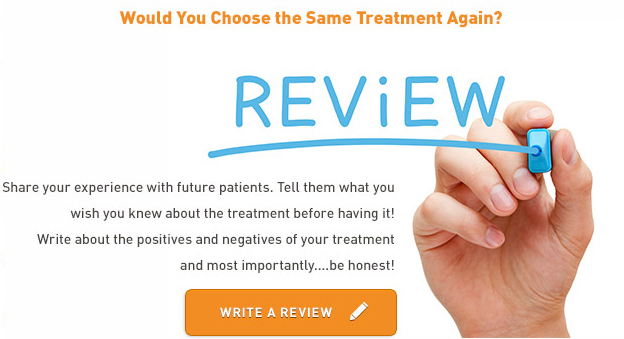 Your doctor will determine the volume needed to achieve the desired result. Along with other related costs, you can expect the total cost for a treatment session to be about $900 to $1500. While this is higher than the cost of some other dermal fillers, the results last longer so patients require less frequent treatment to maintain results. While the costs of cosmetic procedures like this are not usually covered by health insurance, many doctors offer financing plans to make the treatment more affordable. Radiesse instruction for use. (n.d.). Evaluation of Radiesse Dermal Filler for Hand Rejuvenation (n.d.). Radiesse for correction of the mid- and lower face (n.d.).